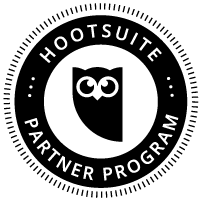 KADENZ is proud to announce that we are now a Hootsuite Solution Partner. Hootsuite is a social media management system for businesses and organizations to collaboratively execute campaigns across multiple social networks from one secure, web-based dashboard. Key social network integrations include Facebook, Twitter, LinkedIn, and Google+, plus a suite of social content apps for YouTube, Flickr, Instagram, Yammer, Tumblr and more. In 2013 Hootsuite surpassed 8 million users, including 750 of the Fortune 1000 companies. Along with Hootsuite’s web platform, 50% of users access the dashboard through their mobiles including iPhone, Android, and iPad. 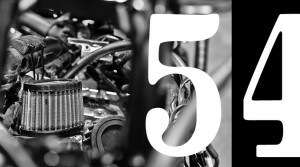 Hootsuite also offers localized versions of their dashboard in 15 languages – English, French, Italian, Japanese, German, Spanish, Portuguese, Chinese Traditional, Chinese Simplified, Dutch, Polish, Korean, Russian, and Indonesian. Engage: Optimize your audience engagement by creating search streams, scheduling messages and monitoring all of your social network profiles from one customizable web and mobile dashboard. Collaborate: Invite clients and colleagues to participate in your social media management. Assign messages for follow up and share streams, helping you increase efficiency. Analyze: Measure your efforts using over 40 social analytics modules to build and share custom reports. Or select from one of our pre-made templates for quick and easy reporting. Secure: Share access with team members without compromising security. The team permission levels and advanced sharing options ensure you remain in control of your valuable social profiles and accounts.